Sony is launching its new X-Series Walkman this week, in its latest attempt to claw back some much-needed market share from competitor Apple. T3 has had the chance to have a play with one over in Japan before anybody else over here has had any time to properly review it. So what's the verdict? "The Walkman X-Series isn't just an iPod rival. 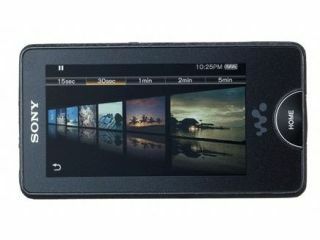 It's a Walkman saviour," says the review. "Sony invented portable music in the late 1970s and dominated for two decades. Then the Apple iPod appeared and Sony didn't so much drop the ball as meekly hand it to Apple," he adds. However, and here's the exciting bit, "the X-Series is where the Walkman fight-back begins." T3 is quite taken with the X-Series Walkman's crystal clear "cracking sonics… beefed up by both digital noise cancelling and an advanced digital sound processor" as well as the new OLED screen which "thrashes the iPod's LED one." So it appears that Sony could well be back in the portable music game. Want to know more? Read the full review here. Want to see more, check out T3's awesome 360-degree gallery of pics here.